With the second semester of school nearing sooner and sooner you may be wondering what to wear the day you go back. I want to tell you all to play it simple for the first day back, and don't wear all your new clothes or accessories that day. This often makes your outfit seem to busy with many statements-purse, necklace, shirt, and pants, that just don't flow well together. 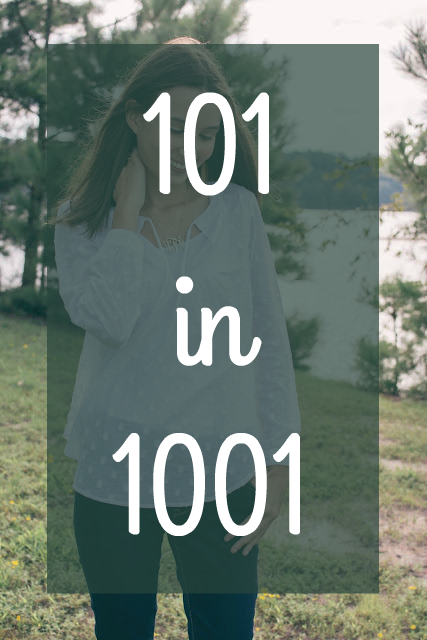 Integrate these new items within your wardrobe so you can have great outfits that look great, but allow you to feel confident for many days versus one day. This will allow you to extend that feeling of wearing a great outfit throughout all of January. I'll be keeping my outfit simple with a cute scarf and tee with some new flats; an outfit that is chic but not overly complicated. From Wishbone: A simple scarf and tee will keep you looking simple and chic when you go back to school. From Lolobu: A great way to style any new vest you may have received, styled with a simple necklace and top. From Devon Alana: Patterned pants styled with a simple white top and gold accessories. Simple and Chic. 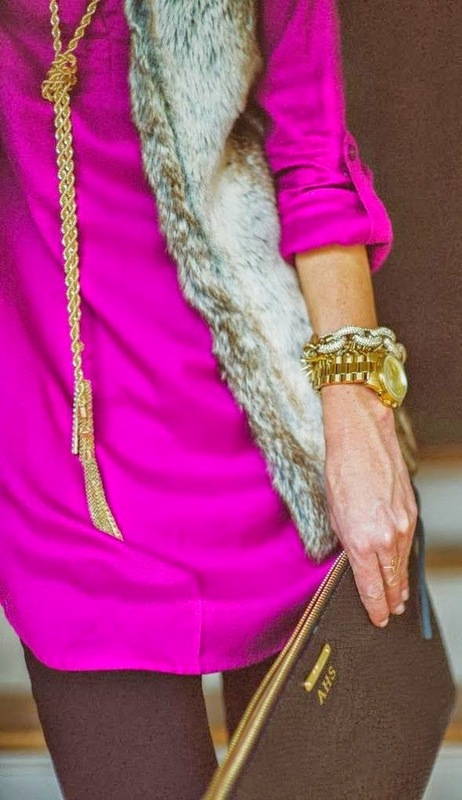 From Blasfemmes: Did you get a fun colored coat this Christmas? 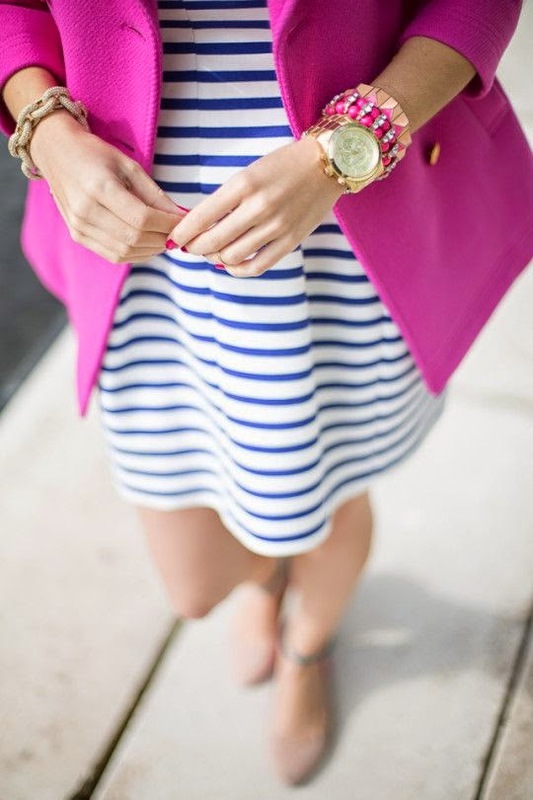 Style it with simple jewelry and a striped dress for a classic look with a pop.